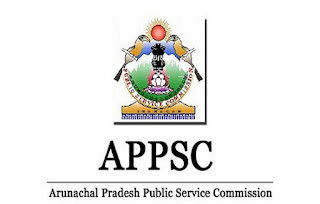 Arunachal Pradesh Public Service Commission APPSC Notification:- APPSC Notifications for Results, Exam Schedule, Accepted List, Interview, Addendum, Corrigendum updates daily. Interested candidates from Arunachal Pradesh check out newest, fastest or accurate details. Through this page we are informed the Employment Notifications, Results status, Admit Cards post wise. Candidates apply for APPSC Jobs 2018 as per the schedule through online or offline let's verify the official APPSC Notification from here. Result Notification for recruitment to the post of Assistant Audit Officer.